After making an appointment with one of our approved practitioners, a thorough history is taken regarding foot pain, shoe type and riding type. The Podiatrist then conducts a full biomechanical assessment and a foot impression is taken. The prescription and feet are then forwarded to head office in Brisbane where the feet are poured and set out by our Head Podiatrists. The foot moulds are assessed and modified to provide a suitable platform as requested by the referred Podiatrist under the direction of our Head Podiatrists. All modifications and additions are performed by either Nathan or David from Cobra9. The foot moulds are vacuum pressed with carbon blanks to form a shell. The rough Cobra9 Pro shells are trimmed to size and modified dependant on the shoe type and size. The carbon shell is covered with a Cobra9 Pro EVA top cover. The top cover and base layer is modified with any required additions including domes and cut outs. 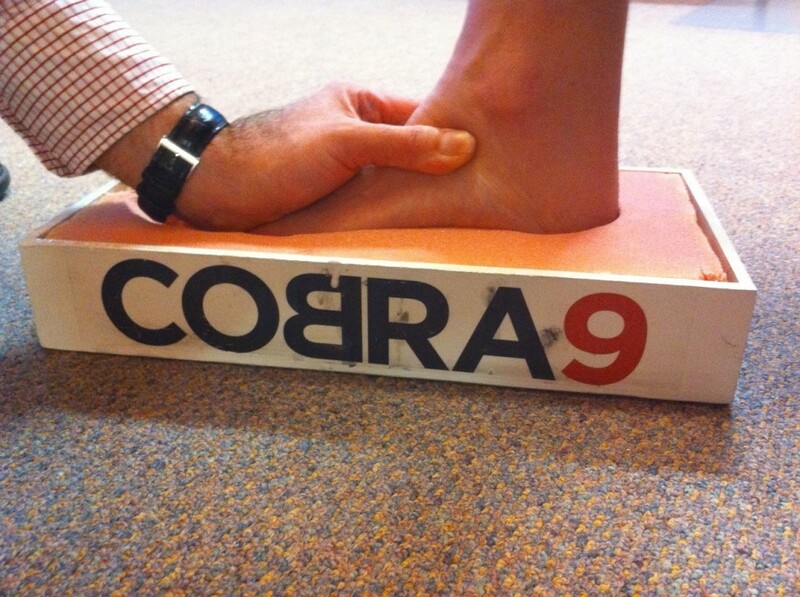 The Cobra9 Pro is cut back to the required shoe size and balanced. The pair of Cobra9 Pro devices are posted out to the approved practitioner for final fitting. Turnover time is usually 10 working days.